Well, it has definitely been a little while since my last blog posting… oops!! I was hoping to get back to a more regular schedule for posting news and updates on what’s been happening, so sorry about that! It has been a busy period again though, and since last summer lots has been going on, which has been great, but also means I’ve been really busy. Rather than go into every single thing and project that’s been happening (‘cos that would take ages, and you’d be bored!) I think I’ll just focus on a couple of the more significant and recent projects that have happened, and get back up to date that way. So, Marischal Square… Over the course of several weeks I was back at this major development in the centre of Aberdeen to photograph and record the completion of the project for Muse Developments Ltd. This of course meant lots of external shots, early in the morning, during the daytime, and at night; plus internal images of the completed floor spaces, both occupied and unoccupied, and also of the retail/bar/restaurant units as well. Particularly of interest was the completion of the Broad Street resurfacing works which were totally separate to the Marischal Square project - but this also meant waiting for them to be completed !! This unfortunately did not happen quite on schedule, and so getting images with the completed street and surfacing, new fountain feature and grassed area had to wait until all the work was finished. 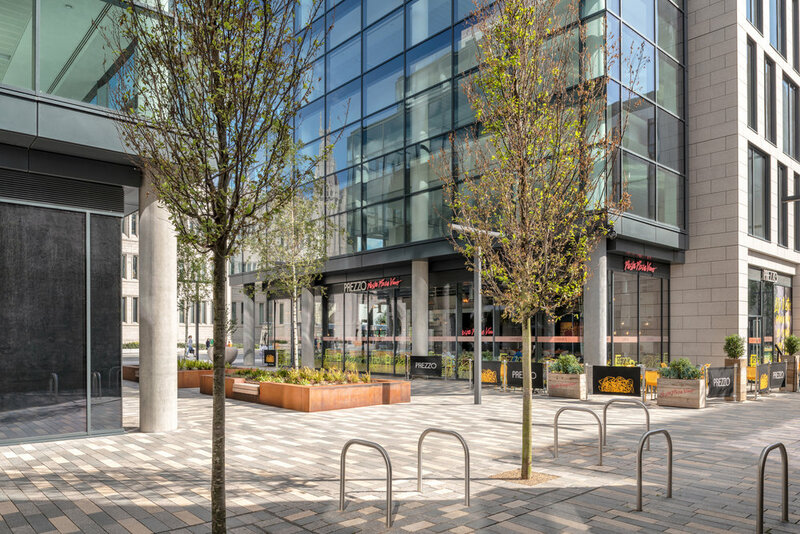 In the end though, I think that it was worth the wait and the finished area (now part-pedestrianised) really looks great, and melds the space linking Marischal College, Broad Street, and Marischal Square really well. 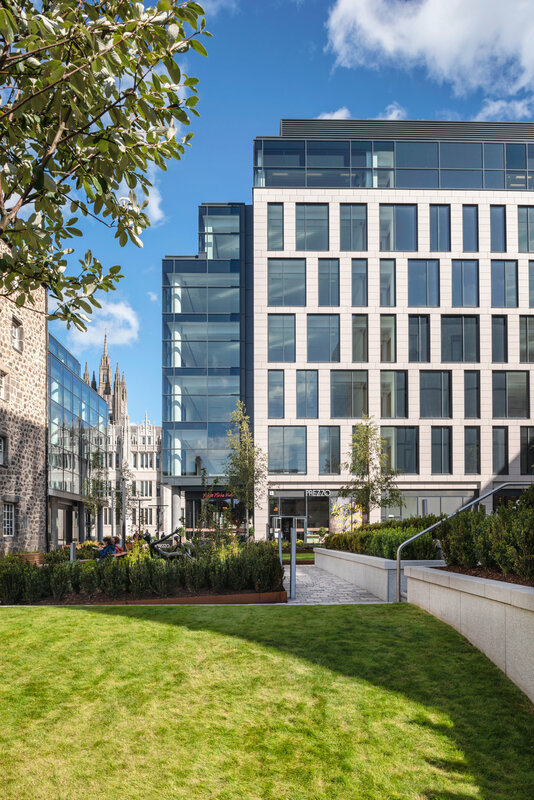 Also, concerning Marischal Square… recently the development was nominated for ‘Regeneration Project of the Year’ and the annual Scottish Property Awards 2019 - & on the night it emerged as Joint Winner !! Fantastic news, and I’m so pleased to have been a part of this great project. Another significant project which I have been involved with recently was the new Stoneywood School development by Scott Brownrigg. Images for this can be seen on my home page as before. Excitingly, this project was recently nominated for awards at the Aberdeen Society of Architects annual awards, and ended up winning in 2 categories - ‘Public Building of the Year’ & in the ‘Innovative Use of Timber’! Again, just great news and well deserved, and I’m so happy that my images played a role in securing these awards, and presenting the building and construction in the best way possible! 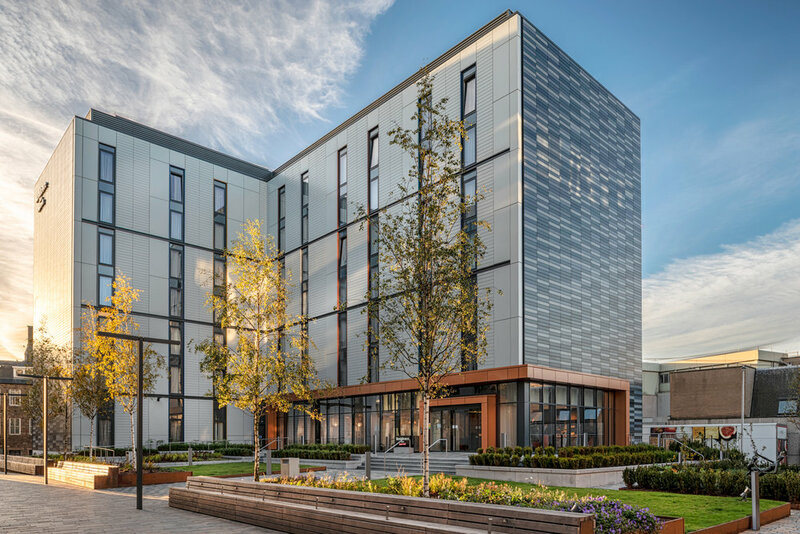 Another interesting project was the visit to Durham I made on behalf of GWP Architects, to photograph Duresme Court - a new student accommodation development close to the centre of the city. As you will see, it is a fairly large development with multiple buildings laid out over a quite large area, providing not only parking, but also a bit of recreational space as well, and its proximity to the centre of town, and easy access to mains roads means that it was proving very popular with new and existing students. I hope this quick update has been interesting, and I hope to get back to a more regular schedule of posting on the blog soon, with more interesting projects coming soon!